With continuing advancements in information and communication technology (ICT), the intelligence level of smart buildings is increasing. Using advanced construction, computing, communication and control technologies, building managers and construction companies can optimize the structure, system, service, and management of buildings according to specific requirements to create an efficient, comfortable, and convenient building environment. However, smart buildings typically comprise numerous systems (such as air conditioning, electricity, lighting, access control, and fire detection systems) that are generally sourced from different manufacturers or system suppliers. If these systems are simply automated without integration and comprehensive coordination, the benefits of smart buildings will be difficult to achieve. Therefore, understanding how to fully integrate the numerous complex systems into a single platform and enabling independently functioning subsystems to share resources is essential for achieving successful smart building services and management. 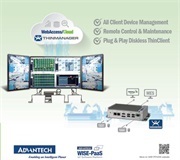 Advantech WebAccess is browser-based HMI/SCADA software package and open management platform. With support for various communication protocols and the inclusion of a node upload tool (Super SCADA) and automatic switching redundancy mechanism, WebAccess allows system integrators to easily combine various heterogeneous systems into a connected and stable smart building management system. The platform’s browser-based access and graphics control software reduce the time and effort required to implement smart building management. A well-known exhibition hall located in southern Taiwan and covering tens of hectares in area wanted to implement a smart building management system that would improve operational management and facilitate the establishment of a comfortable public environment, disaster safety/prevention mechanisms, and convenient services, while also satisfying all eight criteria of Taiwan’s Intelligent Building Label to obtain the highest rating. Accordingly, Leegood Automation System Corporation, which specializes in smart building automation system implementation and has helped many enterprises achieve the Intelligent Building Label, was commissioned to carry out the smart engineering project for the exhibition hall. The smart building management system was required to integrate the exhibition hall’s numerous subsystems, including the fire protection, lighting, air conditioning, smoke detection, access control, security, emergency assistance, energy management, elevator control, and communication systems. These subsystems must be capable of connecting and communicating with each other to assist staff in assessing field conditions and taking appropriate actions. For example, if a restroom emergency button is pressed, the system must be capable of rotating a CCTV camera to the specific area, collecting surveillance video, and displaying collected video on a computer in the control center. As another example, in the event of a fire, the system must be able to automatically activate emergency lighting, turn off the air conditioning system, retrieve on-site image files, release access control, and unlock doors. 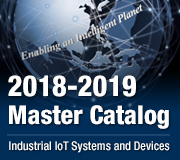 Accordingly, Leegood required an upper-layer management platform that offered easy integration and support for ModBus, OPC, and BACnet protocols in order to consolidate all the subsystems into a single operating interface. Leegood then needed to establish a centralized control management platform that would enable staff to take appropriate actions according to changes in the subsystems. Additionally, because the exhibition hall highly values the preservation of historical records, the management platform also needed a backup and recovery function to ensure reliable operation. The management platform was also required to feature browser-based graphics control software, support real-time information displays, alarm configuration, historical data analysis, and automatically generate a variety of reports based on data collected from the subsystems to facilitate remote monitoring and management. For this project, Advantech provided its WebAccess software package along with various tags for the smart building management system, including two sets of 64K tags for the main and redundant systems located in the central control room, one set of 20K tags for the security system, and one set of 600 tags for tablet PCs deployed in the showroom. Using this equipment, Leegood was able to successfully integrate the exhibition hall’s diverse subsystems and collect relevant data. Thus, if unique or abnormal conditions are detected, either inside or outside the exhibition hall, the WebAccess management platform will be able to prompt the subsystem to initiate the relevant actions and transmit alert notifications. 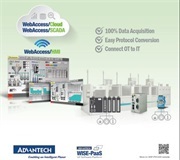 Advantech WebAccess is fully web-based HMI/SCADA software package. The excellent features of this open management platform allow system integrators to easily develop and implement necessary capabilities, such as support for various communication protocols and drivers for connecting diverse hardware, rich libraries and useful design tools for developing unique interfaces and dynamically animated graphics, instant onscreen displays of collected and archived data for automatically generating reports, video management capabilities for enabling real-time video playback, and multi-language (e.g., English, Simplified Chinese, and Traditional Chinese) operations for customizing the system to the specific needs of local users. Additionally, the provision of a node upload tool facilitates the rapid integration of numerous subsystems in complex environments. Because WebAccess Super SCADA treats every subsystem as a single node, designers no longer need to perform time-consuming programming. Instead, they can easily upload nodes to the upper-layer management platform using the simple Super SCADA tool to achieve a unified interface for remote monitoring and management. Furthermore, the redundant node function ensures reliable communication between front-end equipment and the back-end platform is always maintained. If the primary node fails, the backup node will assume task implementation and automatically default to the primary node when it becomes available again. Regarding the benefits for users, the exhibition hall staff can remotely monitor the equipment and site conditions from the central control room via dynamic images and real-time videos. Staff can also use a web browser to access and control the system at any time from any location without requiring specific software or devices. With over 30 years of experience in system integration, Leegood Automation System Corporation is one of Advantech’s VIP partners, having adopted various Advantech hardware and software products to implement automation and smart building systems over the years. Leegood asserts that the WebAccess platform’s numerous useful features not only enable convenient and rapid project development, but also facilitate the flexible configuration of system tags according to specific application requirements. Regardless of the project complexity or need to coordinate multi-point tasks, the speed of execution and operational stability provided by WebAccess exceeds that offer by other commercially available products. 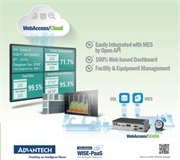 This indicates that Advantech WebAccess is extremely valuable and cost-effective integrated management platform. 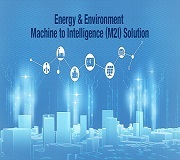 Since the opening of the exhibition hall, the smart building management system developed by Leegood in cooperation with Advantech has been in use. The excellent benefits provided by the system have also enabled the exhibition hall to successfully achieve a “Diamond” rating – the highest level of Taiwan’s Intelligent Building Label.